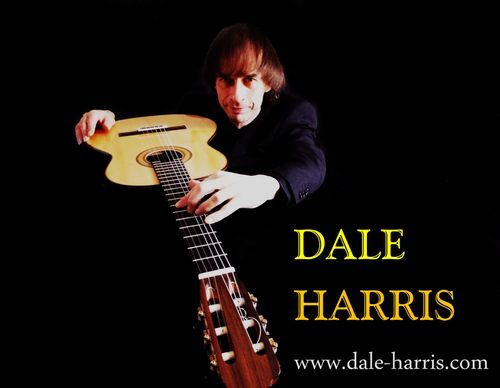 Dale Harris (BA, MA, PhD) is a professional musician, a Doctor Of Musicology, and a classical & electric guitarist based in London (UK). 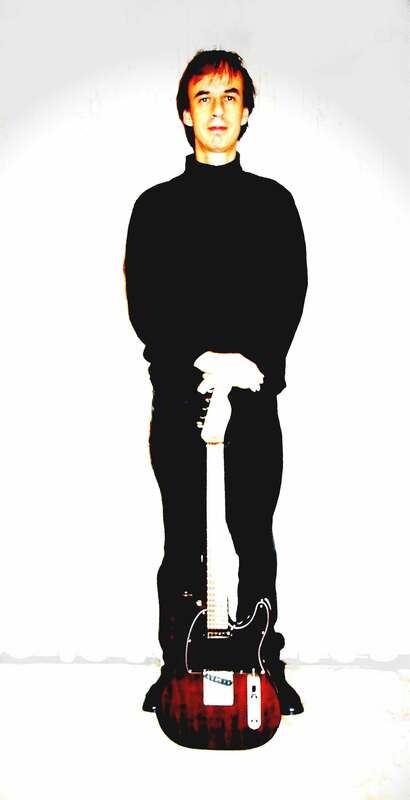 He has played solo classical guitar recitals, performed concerti with orchestra and accompanied music industry legends such as Cliff Richard and Lorne Gibson. 2017 Began with Dale Harris winning the GSMC award for Instrumental Musician Of The Year; and thanks to agent and promoter to the stars Graham Steel (who has promoted the likes of Tommy Emmanuel, Martin Taylor, Antonio Forcione, etc.) for his on-going very kind assistance and support. Sign up here for my free email filled with concert dates, guitar-performance-tips, encouragement, updates and personal stuff! The Letter is definitely NOT a marketing email. Instead, it is another way to hopefully connect on a deeper level. 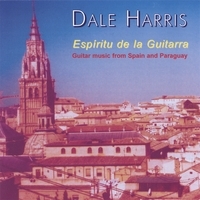 Espiritu De La Guitarra, the first solo release by Classical-Spanish & acoustic guitarist Dale Harris, features inventive & sensitive new interpretations of classic Spanish & Paraguayan guitar music by one of the finest musicians in the world. Works by I. Albeniz, Barrios, De Murcia, Sor and Tarrega. From dreamy soundscapes to the aggressive, Spanish-classical, acoustic steel-string and electric-midi guitars, drums and percussion, composed and improvised gems infused with world and jazz sounds. All new and original compositions by the artists themselves. 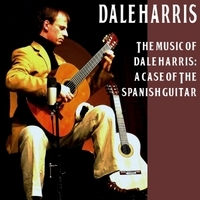 The Music Of Dale Harris: A Case Of The Spanish Guitar. Works by Aguado, Harris, Milan, Mudarra, Myers, Sor and Tarrega. 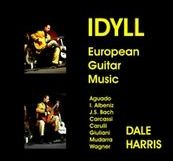 New arrangements and transcriptions for solo classical guitar by Dale Harris. Including world premiere recordings of Wagner's Tristan And Isolde Act 2 Prelude and the famous Liebestod, plus a new transcription of Albeniz's famous piano piece Asturias (in A minor, not the usual E minor!). Works by Aguado, Albeniz, J. S. Back, Carcassi, Carulli, Giuliani, Mudarra and Wagner. Recorded in 1991, this project involved fusing aspects of classical, acoustic, electric and synth guitars in a variety of instrumentations: from duo's through to a full-band sound. The self-titled suite of pieces Is There Life On Mars? is almost prog-rock in concept. Includes some fantastic contbributions from the special guest vocalists Martin Wismer and Rob Hermans. Wav, high-quality MP3, FLAC, ALAC (Apple Lossless), AAC, or Ogg Vorbis formats. The majority of tracks were recorded in 1990. This is music with humour, almost Frank Zappa perhaps? This project was directly influenced by Steve Vai's Flex-able and thus, it wasn't shy to explore all elements of music including: atonal, 12-tone, rock, pop-songs, avant-garde, metal, classical, etc. This album almost defies genre! Includes vocals from Rob Hermans. 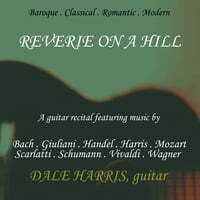 A purely instrumental mixture of original compositions and purely classical guitar tracks. Includes compositions by Granados, Narvaez and Milan plus a traditional Catalan Folk Song. The original sections are composed by Dale Harris and are based on a number of different styles including Indian, Japanese and Spanish. You can also purchase music and download from the Dale Harris music store section at Amazon. Click on the link opposite! And Dale Harris is on i-tunes! DALE HARRIS AMAZON MUSIC STORE FOR CD's and MP3 DOWNLOADS. JUST CLICK! Copying is prohibited including text, images, videos, music and related content contained in this website dale-harris.com.